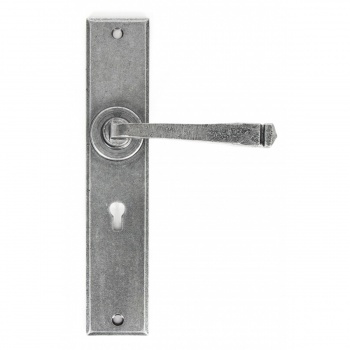 A larger version of the very striking, contemporary handle which is the Avon. 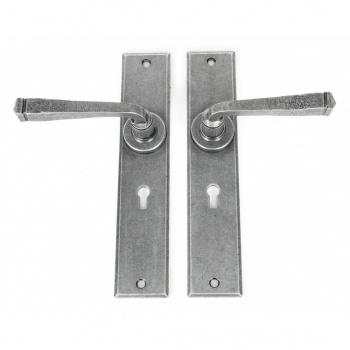 Looks great on any type of house, old or new & has a strong spring incorporated into the stylish boss design to give both functionality & elegance. 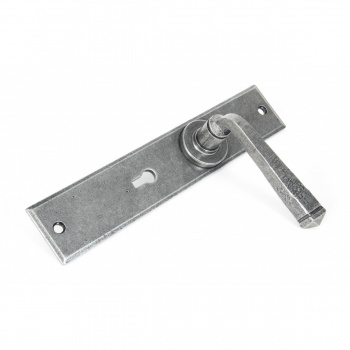 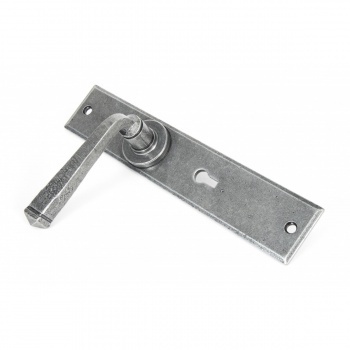 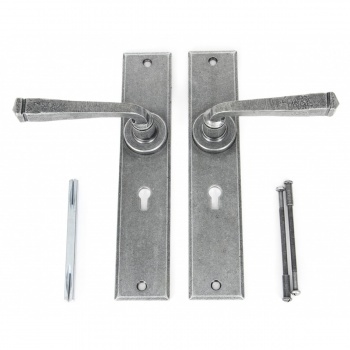 Used in conjunction with 5 lever BS mortice locks together they form an exceptionally stylish and safe door system to rival any. 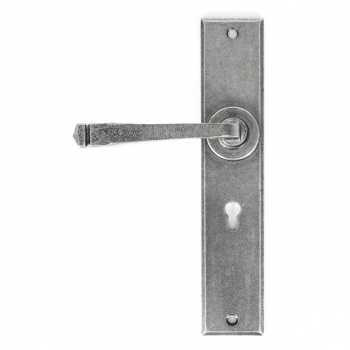 All Avon Handles come complete with matching fixing screws.